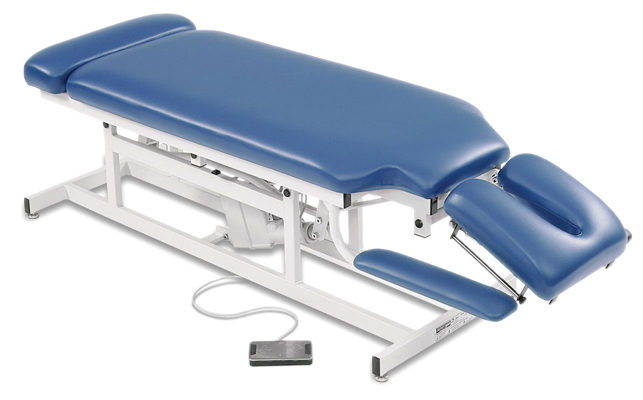 All the treatment tables, mat platforms, mirrors, activity/work tables, parallel bars, training stairs and positioning supports your clinic needs are here! Bariatric training stairs, 78" x 104"
Bariatric training stairs are hardwood construction with tubular steel. Triple handrail design at 35", 26" and 17" height. 78" x 104" footprint; dual platform, anti-slip treads. 102" minimum ceiling height. Assembly required. 1000 lb weight capacity.